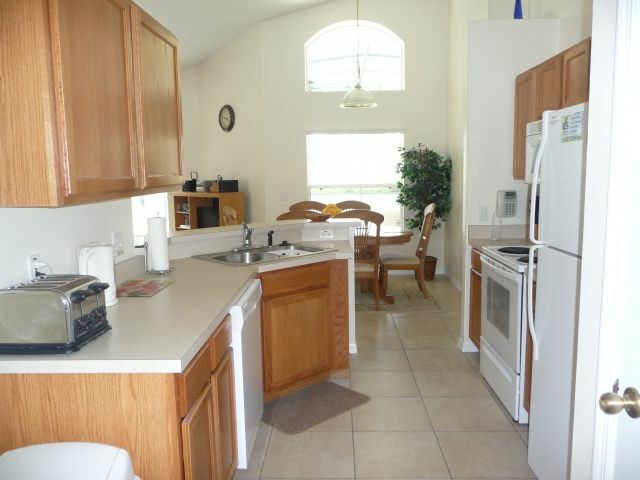 4 bedroom, 3 bathroom villa in the Southern Dunes Golf & Country Club community. Owned by Stuart and Jill Foster. Ref: 612. All the homes on the site are privately owned and each owner does their own bookings direct with you, the guest. We do not have agents or managers looking after rentals. If you are contacted by someone claiming to be an agent or manager please forward their emails to us at info@orlandovillas.com so we can check their authenticity. 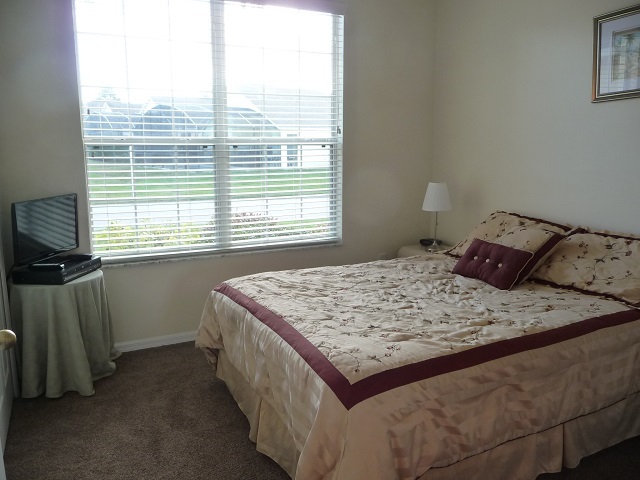 It is your responsibility to check with the private owner as to the nature and availability of these amenities. For privacy reasons, the marker on the map shows the Southern Dunes Golf & Country Club community location and not actual villa location. Green View Villa is our luxury 4 bedroom, 3 bathroom villa with own private pool and covered lanai overlooking the golf course. We include lots of additions and with approx. 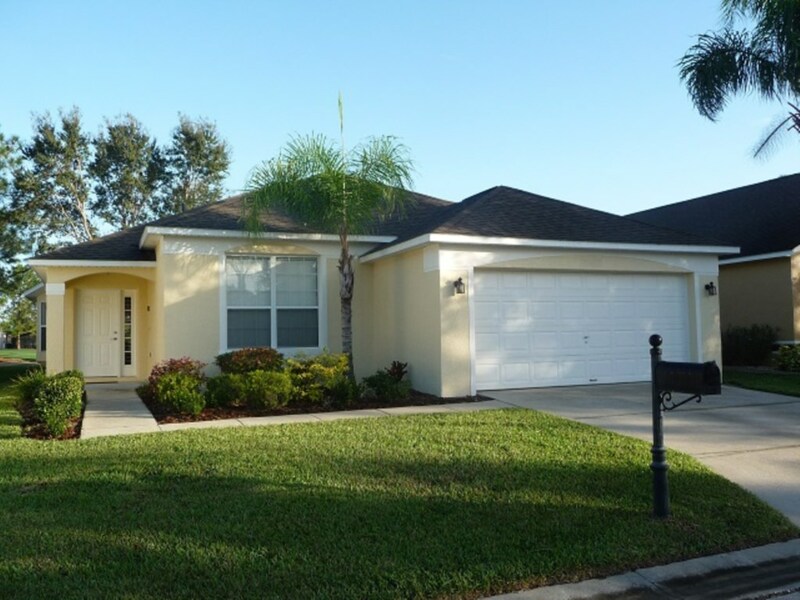 Disney 20 minutes, Legoland 20 minutes, airport 45 minutes, shops immediately outside the community, over 550 freshwater lakes to fish and fabulous beaches just over an hour away what better place to stay? You can enjoy the best of both worlds with a holiday at our fabulous villa. 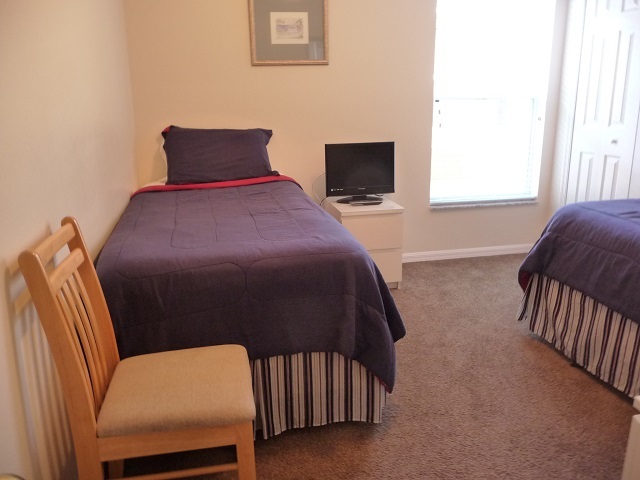 Set in relaxed surroundings with plenty of facilities on site yet is near to all the main attractions Florida has to offer. Green View villa is furnished to a high standard throughout with lots of extras for all to enjoy. Our luxury 4 bedroom, 3 bathroom villa, is located on the award winning Steve Smyers designed golf course at Southern Dunes Golf and Country Club and overlooks the course. 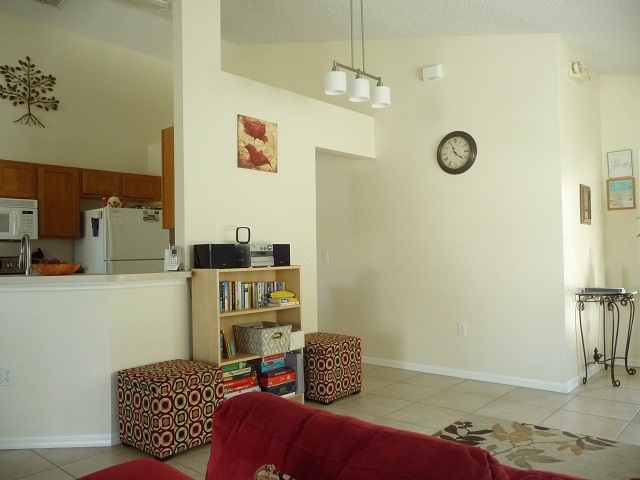 The villa is spacious, fully air-conditioned with the addition of ceiling fans in all rooms. Comfortable lounge overlooks the pool and golf course. Sectional sofa with chaise. Range of entertainment for all ages including 55" Full 1080 HD LED digital cable television, Playstation 2 with controllers, blue ray DVD, Hi-fi with CD player and a selection of books and games. The nook has a dining suite which seats 8 also with views of the pool and golf course. Free Wifi wireless high speed internet access is provided as well as a desktop for those travelling without a laptop. The kitchen is fully equipped with everything a large cooker, microwave, fridge/freezer with ice maker, dishwasher, coffee maker, electric kettle, toaster, even an electric can opener, waste disposal unit, telephone, plenty of crockery, cutlery and glassware and lots of cooking equipment and utensils. We also have separate crockery and cutlery suitable for use on the lanai as glass and china should not be used in the pool area. 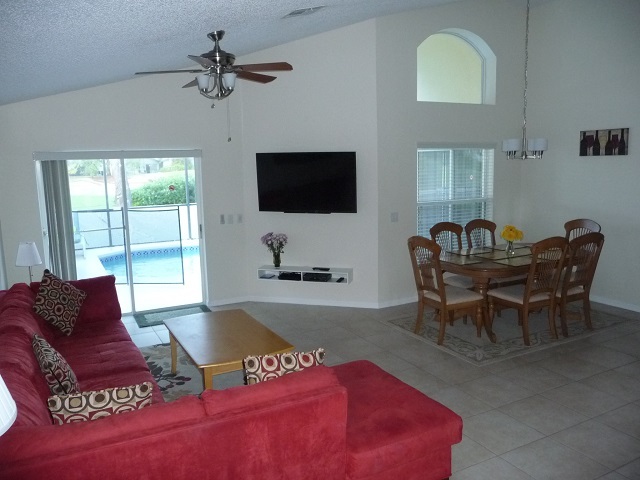 Views of the golf course and patio doors lead directly to the lanai and pool. 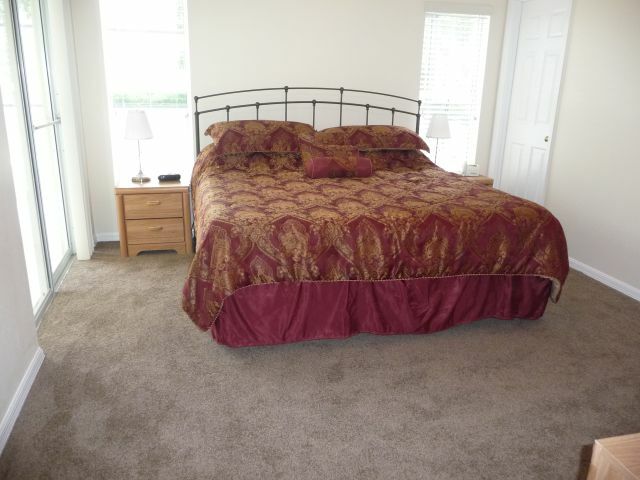 King bed, bedside cabinets, table lamps, large chest of drawers, cable television, mirror, clock/radio and telephone, large walk in closet with safe. Door to the en suite bathroom. An external door leads to the pool area. Large walk in shower, toilet, lit mirror and washbasin over a vanity unit. A hairdryer is also provided. 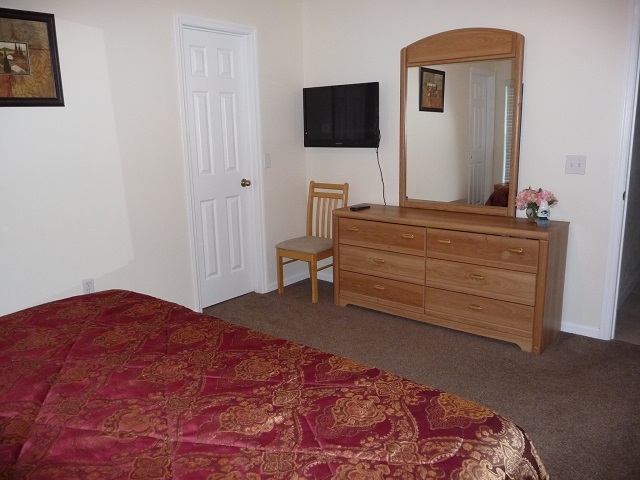 Queen bed, bedside cabinet, table lamp, chest of drawers, cable television, multi region DVD player and discs, clock radio, full length mirror and large fitted wardrobe. Bath with shower over, toilet, basin, large lit mirror and vanity unit. 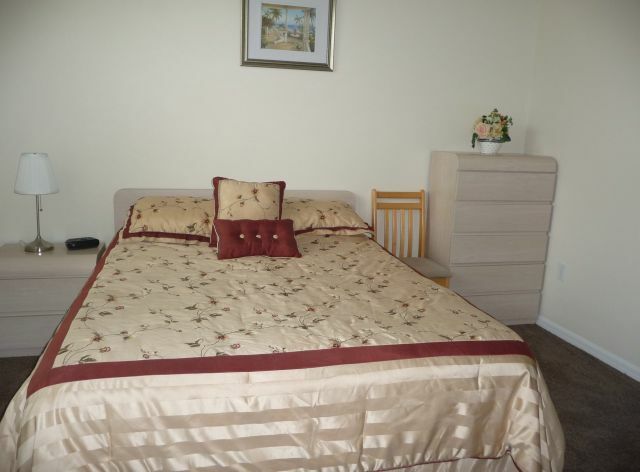 Twin pillow top beds, cable television, clock, chest of drawers and fitted wardrobe. Family bathroom is adjacent to the twin bedrooms and has a bath with a shower attachment, toilet, washbasin, vanity unit, lit mirror, bathroom scales, hairdryer and linen hamper. Linen closet with supply of towels including beach/pool towels. Although there are games in the garage it is possible to move these to the side and still use the garage to park cars. 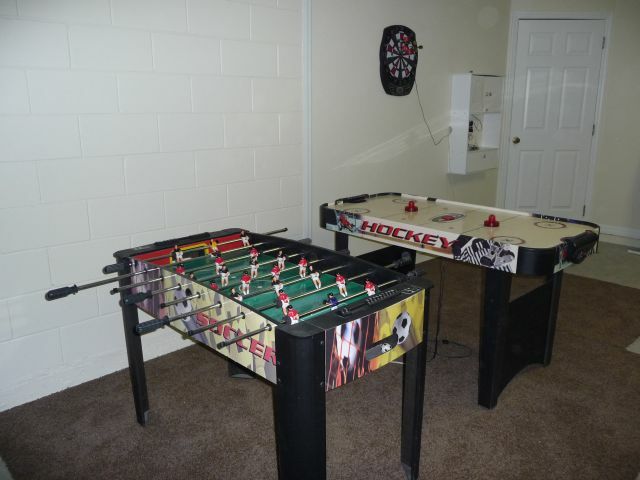 We have air hockey, football table and electronic darts. The washing machine and tumble drier are in the garage. We also provide a stroller/buggy, cot and highchair. There is also a selection of pool toys for your enjoyment in the pool. This area is fully screened. 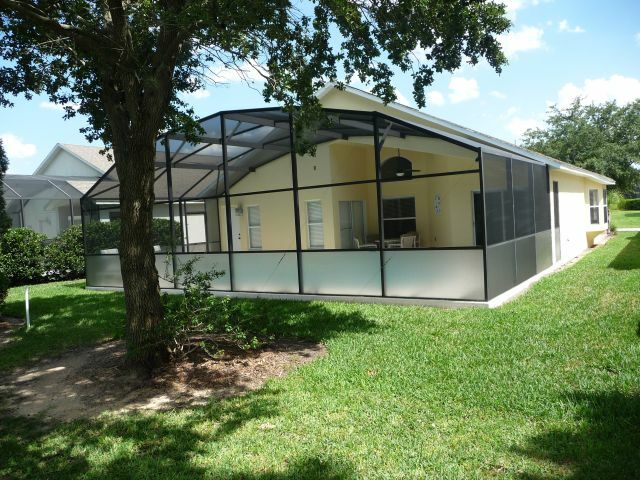 The covered lanai provides welcome relief from the sun and overlooks the pool and golf course. 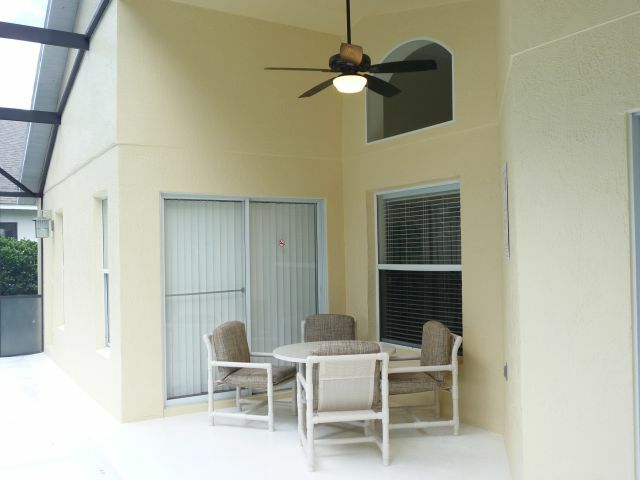 The lanai has a ceiling fan to help cope with the hot sun during the day and outside lighting making it suitable for use from early morning breakfast to dinner al fresco or perhaps a late night cocktail or glass of wine. The furniture includes a patio table and chairs, sun loungers and barbecue. This is salt water filtered system which provides softer water and is kinder to skin and hair and does not leave you with red stinging eyes. To keep children safe there is a pool safety fence separating the pool from the lanai. The pool has underwater lighting and is ideal for a late night swim! 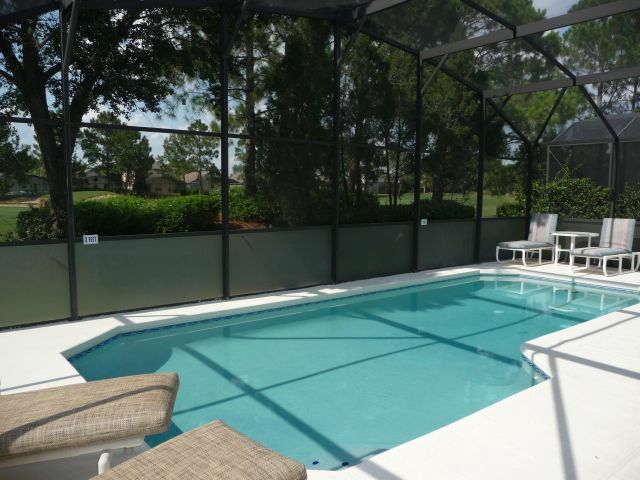 For additional privacy we have added Florida glass to the pool screen. The villa overlooks the golf course at the Southern Dunes Golf and Country Club. Southern Dunes is a fully gated community. Just outside the community (within walking distance) is a variety of shops including a 24 hour Wal-Mart, 2 chemists, bank, several well known food chains, Manny's Chop House, petrol station, hairdressing salon, liquer store and video hire shops. Disney World and the largest Legoland in America are both 20 minutes. Southern Dunes is one of America’s top 100 golf courses designed by Steve Smyer with 100' elevations. Apart from this fabulous golf course other facilities include a pro shop, driving range, use of the clubhouse with a restaurant and bar, tennis courts, large communal swimming pool, gym, library and children’s adventure playground. Southern Dunes is the perfect base for not only a Disney vacation golfing or fishing holiday but all central Florida's varied and interesting attractions. It provides a quiet haven after a tiring day at the parks or for those who just want to relax away from the hustle and bustle. 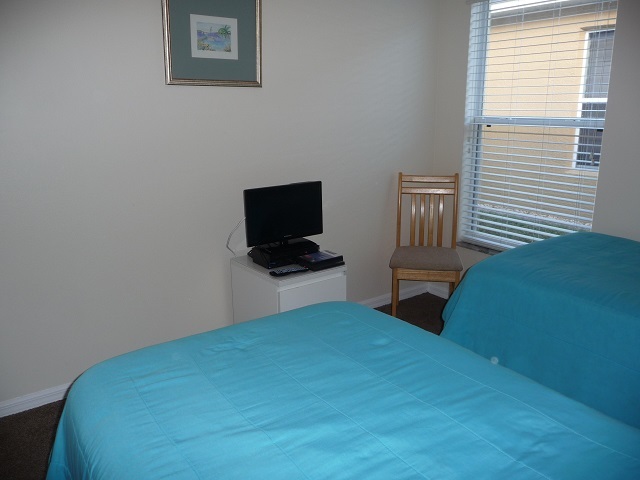 Our management company is located close by and are always on hand should you need any assistance during your stay. Pool heating is optional extra at $20/£14 per night. For a personal quote tailored to your holiday plans, please fill in the enquiry form below. 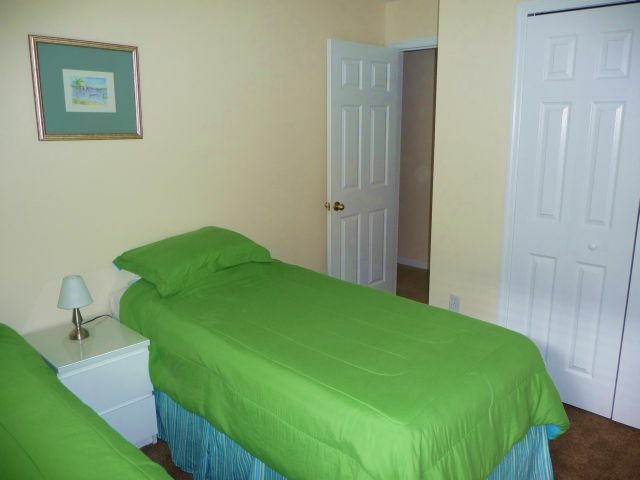 Low season prices from $765.00 / £530.00 per week. 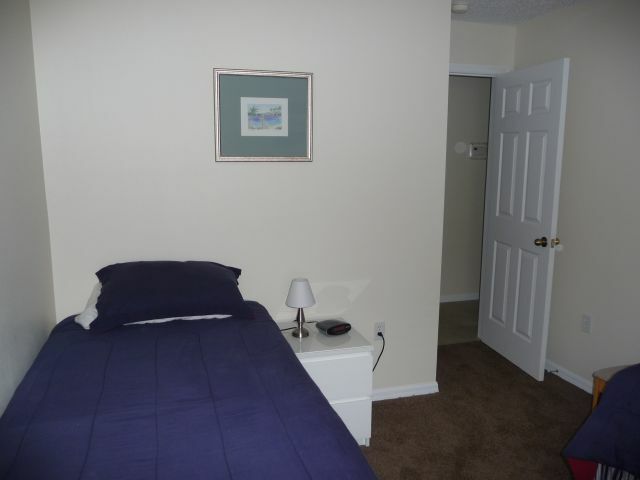 Peak season prices from $975.00 / £650.00 per week. Weekly rates quoted for periods of more or less please pro rata. Cleaning charge of $90 for stays of less than 6 nights. Pool heating is optional at an extra charge $140/£91 per week. This villa currently has no late availability. 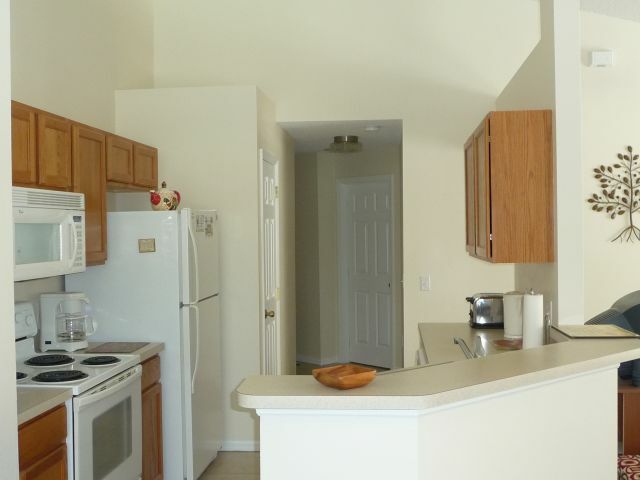 Be the first to leave a review for this villa by clicking the button below. Fill in the form below to request more details. By filling in the form you are simply expressing an interest and the owner of the villa will get back to you with more information. Be sure to give an indication of the dates of your vacation as this helps villa owners tailor their response to your requirements. If this is your first time enquiring for a villa, read our Booking A Villa For The First Time guide. Your enquiry will be sent to villa ref 612 only. e.g. 25 April 2019 is 25/04/2019. Tick this box if you would you like to hear from owners of other similar properties that advertise with us, with availability, if this owner does not have availability? Tick this box if you would also like to hear from all owners of 4 bedroom properties, if they have availability. This page has been viewed 19951 times since 25 Feb 2003.